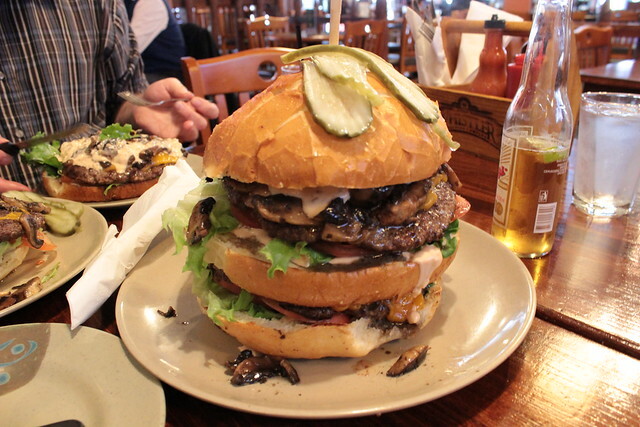 2lb Burger @ Two Parrots – I WILL EAT YOU! The cost of this behemoth is $25.99. If you are able to eat it in under an hour, without any trips to the washroom, it’s on the house. Apparently, only 25 folks have been able to do this so far. The thing is bigger than my damn head. And it’s a tasty beast. 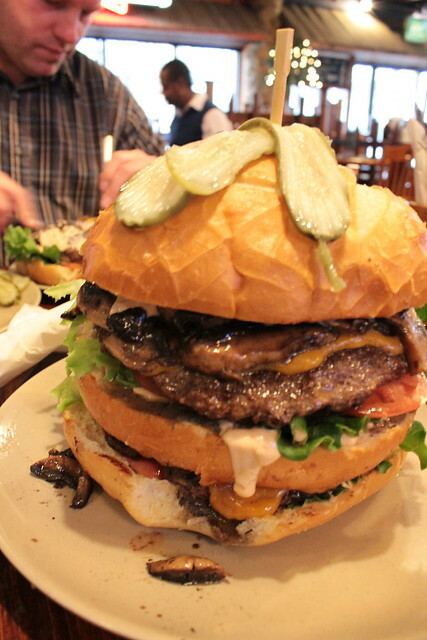 Three plate sized patties, a loaf of bread, melted cheese, sauteed mushrooms, lettuce, tomato, and garlicky pickles. 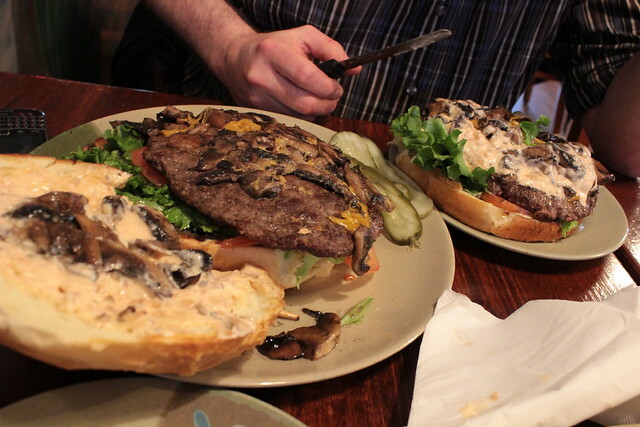 I would very happily eat this burger again, providing it was a much, much smaller version. I did not finish it. The leftovers weighed heavy in my bag for the rest of the day. It sits in the refrigerator, waiting. It will be my sustenance for the remainder of the week. Pingback: The (kinda) Famous Anaconda @ The Factory | I WILL EAT YOU!